When i decided to come back to India (pune) one year ago, i heard zillions of stories about the pollution in Pune, the traffic , the bureacracy at work , all trying to convince me not to take such a decision. But no one mentioned about the abundance of natural beauty around Pune. 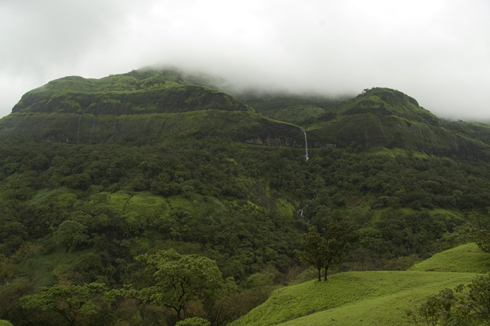 A drive to any such place near Pune is enough to free your mind from the stress caused by any of the above factors. Eventually, the sight-seeing options near to Pune took preference over all other issues and helped me make the decision to come to Pune. .
One such place is the Tamhini Ghat just beyond the Mulshi Dam. Though the roads through this ghat are at best bad, the scenery around would make you forget the bumpiness of the ride. A ride through this ghat is good even during the summer. But, this place opens up in the rains. Waterfalls all around, greens of the like rarely seen, you have to go there to experience this. 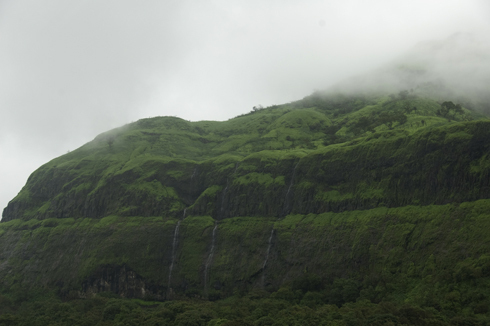 I drove through Tamhini ghat late last August on my way to the Hans adventure resort. The other members of my team were in a bus and i was following them in my Xylo. The temptation was too much to stop at every corner and click a photograph of the panorama. Below are some photos from that drive. 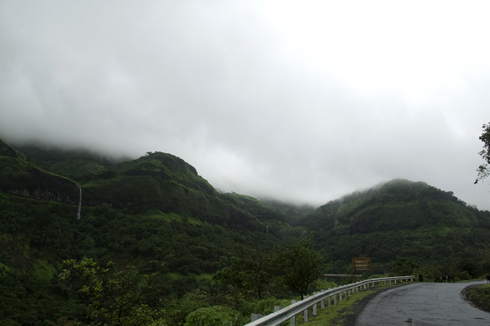 How to go to Tamhini Ghat from Pune(Magarpatta): Go to Chandi Chowk. Take the road going towards Mulshi Dam. 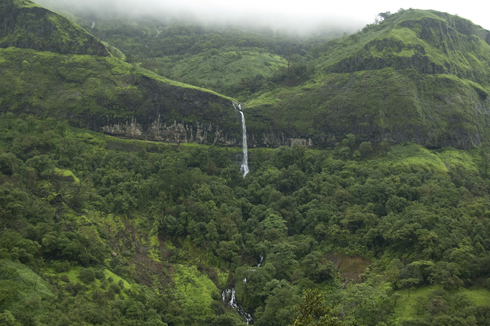 Cross Mulshi dam and climb into the ghat. The bad road usually start here. 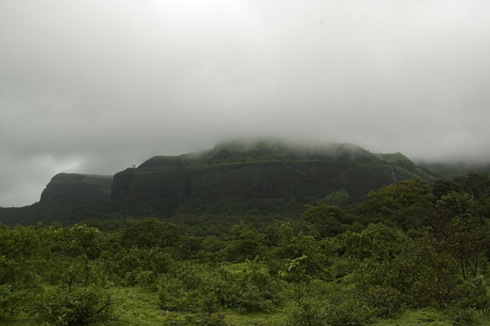 This is Tamhini Ghat. You can go beyond the Tamhini Ghat towards Mangaon (Mumbai Goa Highway) to reach the konkan side. Btw, it is not advised to go through Tamhini ghat late in the evenings. If you have to cross the mountains in the night, use the Bhor/Varandha Ghat instead. Google map show some other Tamhini and Photo shows Mulsi to Vile Bhagad Tamhini Route, Have correction, otherwise research is ossom.